Creative, detailed & user friendly software designs. Fraktal Studios is a full-service custom software and mobile application development company with an expansive set of competencies to meet your enterprise needs. Whether you have a start-up project to launch, or an idea for a custom software solution for your company Fraktal Studios is ready to design, build and provide software development services at each stage of your project. We love new ideas & working alongside creative minds. 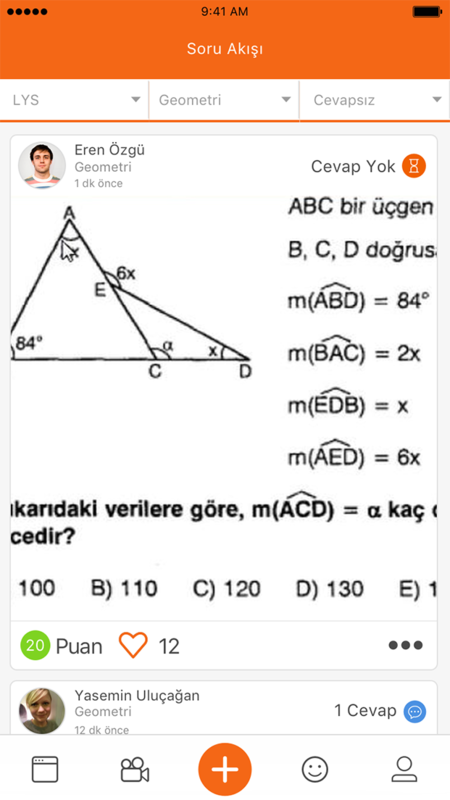 Educain is a mobile social platform based on a question-answer functions. Users can ask their questions and get answers using photos, audios or texts. It's the best practice for not only students but anyone studying for an expertise. Working with Android and IOS operating systems, we are developing the most appropriate application to your needs and your budget. We collaborate with you from the beginning to the end of the process providing marketing solutions and making the app accessible. The most fun way to promote your company or your product! Gamers on the go today play on every mobile platform like phones and tablets. We can help you design games that succeed on any type of mobile platform. With our award-winning and experienced designers, we design concepts and final product with aesthetics and functionality. Pencil sketching, wireframing, modelling - We provide everything behind your needs. Do you have a idea, scenario or a story? We make it real on the big screen. We provide professional production and distribution to support your short films and documentaries. A well-managed company, is the company that can provide operation and communication between departments. Best producers, best designers, best marketers will not be able to enough founding the best company. Sailing boat is composed of the same section as well as a commercial company; like trimmer, bowman, skipper, helmsman, and navigator. If these people are not working in a particular alignment, it is not expected to be a successful combination. This simple idea is the basis of the becoming a successful company. As Fraktal Studios we are sailing to strengthen to our teamwork and motivation.